is the Acting Program Director of the Advanced Systems Analysis (ASA) Program at the International Institute for Applied Systems Analysis (IIASA). 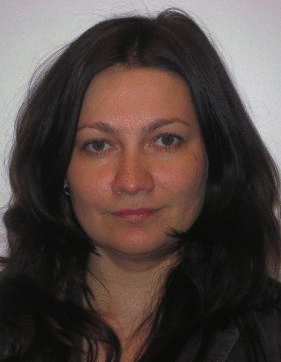 She is also a Research Scholar (on leave) at the Optimal Control Department of the Faculty of Computational Mathematics and Cybernetics, Lomonosov Moscow State University, Russia. Her scientific interests lie in the fields of theory of optimal control, ill-posed problems and economic-environmental modeling. Elena graduated in 2003 from the Faculty of Physics, Lomonosov Moscow State University, Russia. She received her PhD in 2006 from the Faculty of Computational Mathematics and Cybernetics, Lomonosov Moscow State University, Russia and became a staff member there soon afterwards. The title of her PhD thesis was “On solving the problem of finding the optimal compatibility parameter value for a class of equations in a normalized space.” Since 2005 she has been collaborating with the Dynamic Systems Program (now Advanced Systems Analysis Program) at IIASA. Elena’s current research focuses on modeling optimal forest management, exploring systemic risks in ecological networks, modeling economic growth with environmental constraints, and agent-based modeling of regional development. My research lies in a field which can be called exploratory applied mathematics, or contemporary systems analysis. It addresses global change issues at the intersection of applied mathematics, computer science, economics, environmental science, and social science. My research group at IIASA aims at (i) identifying research questions that challenge the systems analysis methodology and developing new systems-analytic methods and tools to meet these challenges; (ii) identifying promising new applications for existing systems-analytic methods and developing illustrative case-studies; and (iii) promoting advanced systems analysis to a broad scientific, expert, and public audience. This fascinates me very much as what we are doing is a unique combination of formal mathematical tools – rather complicated and yet elegant – and real life problems which are relevant to everybody, in solving which these tools become extremely useful. More powerful computing systems pose a question of the limits of what can be modeled and explained through formal modeling. Integration of informal knowledge sitting in experts’ brains with rigorous modeling and simulation is the key tool to produce useful results to support policies on governing the future. Thomas Kuhn stressed the importance of recognizing the defining role of a paradigm in which a researcher works on the results of the research. Karl Popper argued that a theory can be falsified but it cannot be proven. These two ideas are at the core of the principles of the modern science of global change. Kuhn’s ideas made me interested in working on integration of different alternative models. Popper’s ideas help understand the model validation question. What fascinates you about Systems Analysis for Informing Policy? In your own words: Why should people go there? This session presents three examples of IIASA projects where advanced systems analysis methods were applied to real policy issues: 1) Modeling consensual bi-lateral negotiations on fishery policy, 2) Systemic risks and security management in land use systems, and 3) Catastrophe risk modeling to inform proactive public finance for disasters. These examples show how advanced methods can inform policy. Often, scientific results that policymakers use are produced by rather simple and standard approaches. The results produced by advanced methods, in contrast, often do not apply to real-life problems. By conducting research in a multi-disciplinary fashion, the IIASA studies that I will present successfully eliminate this gap; they provide impressive showcases of successful applications of modern advanced methods.